JOHNSTOWN, PA (June 16, 2018) — Duke University golfer Alex Smalley shot an even-par final round to complete a wire-to-wire victory at the Sunnehanna Amateur, finishing the 72-hole tournament at 11-under-par. Not bad for his first time playing the historic tournament, against a field of top-ranked amateurs, many of them with multiple Sunnehanna appearances under their belt. Smalley began his round smoothly, making a routine par to start and then an impressive up and down at the 2nd. On the 3rd, the incoming Duke senior dropped his first bomb of the day, a 40-foot birdie effort that got him to 12-under. He had a game plan, and was sticking to it. “I told you yesterday, I wanted to keep playing like I didn't have a cushion, Everyone thinks its tough to play with big leads and finish it off,” said Smalley. Oklahoma University’s Quade Cummins began the day seven shots back of the leader. Playing with Smalley, at times it looked like the Sooner might catch him. On the par-3 10th, Smalley missed his tee-shot long and left. His pitch ran all the way through the green, with Cummins in prime position to roll in a birdie. But just as it looked like there might be a swing on the leaderboard, Smalley chipped in for par, and Cummins proceeded to miss his birdie putt. But if Cummins was a little shaken up from the events of the previous hole, he certainly didn't show it, bouncing back with an eagle three on the 11th. But once again, Smalley matched him. Ever resilient, Cummins managed to follow up with a birdie at the 12th and when he rolled in a birdie on the 18th, he signed for a final-round 5-under 65. Ultimately though, Smalley would hold up. Though he dropped a shot at the long par-3 14th, pars everywhere else were good enough to stay ahead of Cummins, who would finish two shots back, alone in second place at 9 under par (72-68-66-65=271). Next up for Smalley will be the North and South Amateur Championship, one of the nation’s elite amateur events, played at the iconic Pinehurst No. 2 since its inception in 1901. University of Kentucky golfer Cooper Musselman (Louisville, KY), who shot a 65 of his own in round three to get into contention, closed with a 71 to finish at 6-under (71-67-65-71=269). John Augenstein (Owensboro, KY) and Stephen Franken (Raleigh, NC) tied for fourth at 5-under. The 2016 champion and last year's runner-up Collin Morikawa (La Cañada Flintridge, CA) shot himself out of contention with an opening-round 76, but battled back admirably with rounds of 66-68-67. He finished tied for 6th with Andy Zhang (China), who made an even bigger comeback after shooting 78 in the first round. 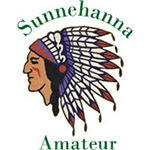 The Sunnehanna Amateur was inaugurated in July of 1954 -- it was the first country club sponsored 72-hole stroke play competition for amateurs in the United States. The tournament is played on a classic A.W. Tillinghast design. Only one other amateur tournament in the United States can list the likes of Chick Evans, Arnold Palmer, Julius Boros, Art Wall, Jack Nicklaus, Phil Mickelson, Tiger Woods, and Rickie Fowler as contestants: the United States Amateur. Its medal play format has been emulated by countless amateur tournaments across the country.